Andrea Cornwell is an International Trade Specialist with the Office of Intellectual Property Rights in the International Trade Administration’s Market Access and Compliance unit. The 2012 National Trademark Expo will return to the D.C. area on Friday, October 19 and Saturday, October 20. Hosted by the United States Patent and Trademark Office (USPTO) at its Alexandria, Virginia headquarters, the free, two-day event will inform the public about trademarks and their importance in the global marketplace. The Expo is a great opportunity to learn about anti-counterfeiting efforts; shape, sound and color trademarks; and the evolution and history of trademarks. The International Trade Administration’s Office of Intellectual Property Rights will have its own booth at the event and will be on hand to answer questions about exporting trademarked goods and protecting your trademarks outside of the United States. Don’t forget to stop by our booth and say hello! The United States Patent and Trademark Office (USPTO) will host the 2012 National Trademark Expo on October 19th and October 20, 2012. Around forty other exhibitors – including nationally and internationally recognized brands like Mattel, NASCAR, Hershey, and Under Armour, as well as government agencies and non-profit groups like NASA, the Department of Energy, the Army and Air Force, and the American Red Cross – will showcase their federally-registered trademarks through educational exhibits, including booths, themed displays and costumed characters. The Expo will feature activities for visitors of all ages: individuals and representatives of small and medium-sized businesses can attend information sessions to learn how to search the federal trademark database or apply online for a U.S. trademark, and children can participate in workshops and other activities designed just for them. Last year’s Trademark Expo attracted more than 15,000 visitors. Join us this year to learn how trademarks can be used to develop and strengthen your or your business’s unique brand. We hope to see you there! The 2012 National Trademark Expo will be held from 10 a.m. to 5 p.m. on Friday, October 19 and from 10 a.m. to 4 p.m. on Saturday, October 20 at 600 Dulany Street, Alexandria, Virginia. The USPTO campus is a five-minute walk from the King Street Station Metrorail, which serves the blue and yellow lines. Off-street parking in the USPTO’s two parking garages on the east and west sides of the campus will also be available. It is believed that sword-making blacksmiths in the Roman Empire were the first to use trademarks. Approximately 1,500 years later, in 1870, Averill Paints acquired the first trademark registration in United States history. The eagle logo is no longer in use today. The oldest U.S. trademark still in use today dates to 1884, when the rope-making company Samson acquired its trademark for a depiction of the biblical figure Samson wrestling a lion. 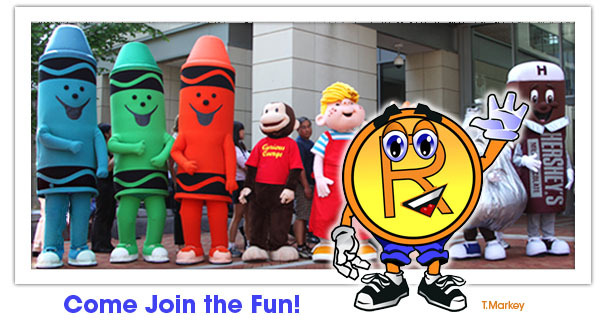 For more information on the 2012 National Trademark Expo, please visit www.uspto.gov/trademarks/notices/tmexpo2012.jsp.